Thermostat Services Loughborough | Loughborough Plumbers. Synergy Plumbing Services. A thermostat is a regulatory device that maintains pressure within water heaters and other plumbing related appliances around the home or business. Thermostats can mean the difference between having a nice hot shower, an average warm shower, or ice-cold water shooting out of the tap. Synergy Plumbing Services are your local plumbers in Loughborough, Shepshed, Hathern, Quorn, Kegworth and surrounding areas that can make sure thermostats in your property run perfectly. What many homeowners might not know is that your water heater’s thermostat can be easily changed depending on the needs of the family. Some individuals prefer a higher setting than others, and if your water heater was installed with the setting too low, your water temperature may not be as hot as you like. An incorrectly set thermostat will interfere with your comfort, but Synergy Plumbing Services can check your thermostat level and get your water to the temperature you need. Your water tank is most likely connected to power with wiring. If a problem develops with the wiring, or the connection, it can drastically impact the operations of the thermostat. We at Synergy Plumbing Services are well-reviewed professionals and understand the complexities of your water heater’s electrical components. Never trust water heater installations to an unskilled engineer as they can make matters worse. For a quick and efficient solution, talk to Synergy. Water heaters are designed with certain safely precautions to avoid any possible blow outs. A circuit breaker will trip if any of the interior components are compromised or strained. If the breaker is continually tripping for the water heater, the thermostat can be unreliable. Synergy Plumbing Services can help assess whether the thermostat is the issue or if it is some other interior electrical problem. A lack of hot water is no fun. It causes issues with bathing, washing up, and so many general tasks around the home that we take for granted. If your home or business is suffering from issues with the water temperature, the thermostat might be the culprit. For an honest assessment of your plumbing problem, and a fast solution, let Synergy get you back on track. We can offer a wide range of additional plumbing services in Loughborough, Shepshed, Quorn, Hathern and surrounding areas including appliance installations and disabled access bathrooms. 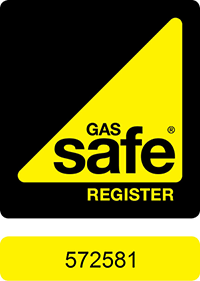 Synergy is a Gas Safe registered company. How can we help you?